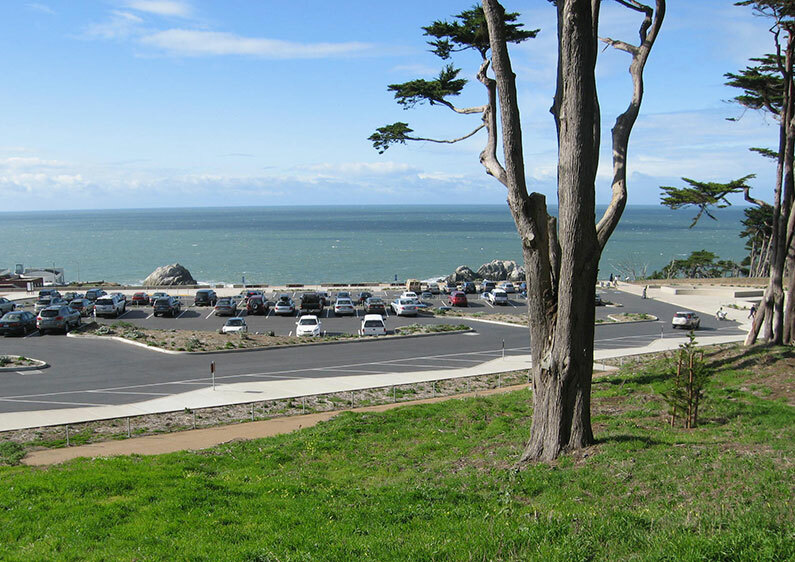 SWLA has completed a master plan and four phases of work on a major renovation of the Coastal Trail at Lands End in the Golden Gate National Parks. 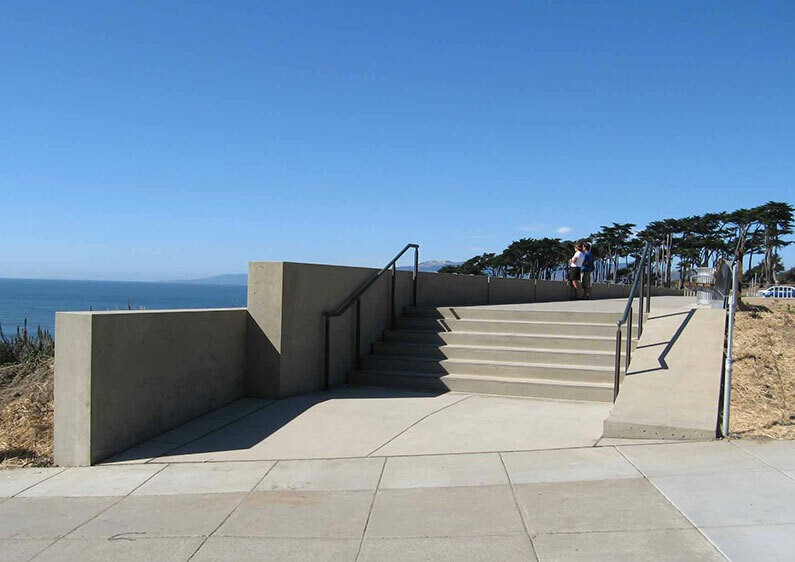 Located above the Sutro Baths and stretching east to the park boundary at 32nd Avenue, the project includes new trails, trailheads, scenic overlooks and parking facilities. The design is a synthesis of the historic, cultural and natural features that have shaped the site. A simple palette of materials, including concrete walls and paving, granite cobble bands, custom wood benches and bronze handrails is used throughout the project. A number of sustainable elements are incorporated in the overall design, including on-site recharge of storm water, use of reclaimed redwood and oyster shells gathered from the site.